Find out about the most recent developments at DFAB HOUSE. 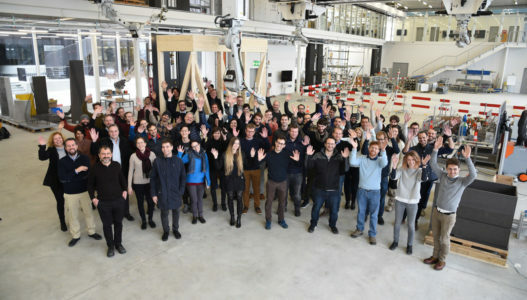 DFAB HOUSE is transferring five innovative digital fabrication technologies from research to architectural application. Find out more. The National Centre of Competence in Research Digital Fabrication is the research initiative that is driving DFAB HOUSE. It is Switzerland's initiative to lead the development and integration of digital technologies within architecture. 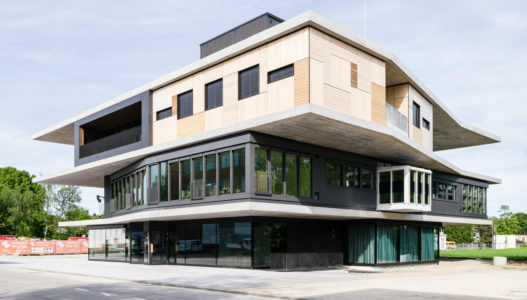 The NEST building of Empa and Eawag is the world’s first modular research and innovation building where new construction and energy technologies can be collaboratively tested under realistic conditions. As such, it is the perfect building site for DFAB HOUSE. Interested in seeing the innovations up close? Visit the DFAB HOUSE construction site as part of a guided NEST tour. Register now!